There is no doubt that the Corporate world (even World for that matter) is getting more and more competitive. Competitiveness is the “key”, since everyone knows that it’s a World where only the fittest survive. Well, is there anything wrong in being competitive? I would say, “No”, but then there is another question – “at what cost?”. If the answer to this question is “Ethics”, then the competitiveness is Hollow. Definitely you can find many examples of people who do not give any important to Ethics but they still rise to higher levels. But there is no guarantee that you will stay at Top if you have compromised with Ethics. Ethics and Competitiveness go hand in hand. There is no doubt about it. All individuals are faced with situations where one has to choose growth or ethics and even though it’s a straight forward choice, there are people who would choose growth over ethics. To explain this better let us take an example of Misselling. What is mis-selling? It is an approach very commonly taken by sales people to sell their products or services by hiding facts and giving false promises to the customer. This is very much prevalent in the sales world and in the race of being competitive, many professionals fall prey to this monster. This may lead to various types of impact on the end customer which may be inform of financial risk, health risk, reputation risk, other direct or indirect risk/loss. Misselling may not necessarily mean lying about the product, it may also mean hiding important terms and conditions, or operational procedures, or missing features, hidden charges, refund policy, return policy etc. Very frequently most of us fall prey to mis-selling and get frustrated at the sales man, most of the times it is because of the hidden charges. This has really spoiled the image of the sales community. Sales team is a backbone of every organization as it is the sales team that brings in revenues by selling products or services. 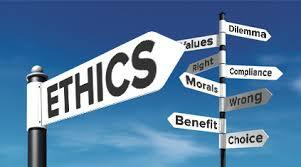 But recently there has been increased emphasis in large organizations on Sales ethics. Mis-selling is taken very seriously and strict disciplinary action taken against those who do not comply. Reputation of an organization primarily depends on the sales force representing it. Organizations have started becoming more and more transparent in their sales processes. Most of the times the details of product/ service being sold is documented by way of an agreement, brochure, offer letter which clearly mention all the terms and conditions, product features, pricing etc. Mutual fund companies and Insurance companies also clearly tell their clients to read the terms and conditions before buying the product. This is done to ensure that the client is not cheated and to save the reputation of the organization. But, despite efforts being taken by large organizations to avoid mis-selling, it is really important to lay emphasis on sensitizing the sales force to understand the importance of ethical sales. Just to be competitive and to achieve or over achieve targets the sales team should refrain from unethical sales practices. Even though in short term you may be able to achieve the numbers but this does not take you very far. Any sales done by hiding facts or lying will sooner or later be unearthed, which may lead to reputation loss for the organization as well as the employee (and a disciplinary action). Unethical sales may also include compromising the interest of the organization that you are working for. Sometimes a sales person may show value to the customer by promising something that may be against the interest of the organization, this comes in forms of bribery, passing on other tangible or non-tangible benefits to the client which may be from the pocket of the organization or from his or her own pocket. A sales person may ask for a favourable business deal from a specific individual at the client organization and in return he may offer something for the personal benefit of the person who is in decision making position at a client organization. It’s very easy to close out business deals by promising such personal benefits, but then, this is completely unethical and unacceptable. This ultimately leads to loss of reputation for the selling organization. Many large organizations take this type of unethical sales very seriously and have very strict policies to completely stop such dealings between sales team and client. There are strict gifting policies and very very strong disciplinary action taken against employees if they try to do such act. For organizations it is very important to closely scrutinize such transactions. It may not always be linked to the sales function, professionals use unethical practices to grow within the organization, offering personal benefits to stakeholders or bosses, hiding facts that may be a risk to the organization, snatching someone else’s credit, passing-on blame to others and various other unprofessional and unethical practices. Compromise with Ethics in any form is not a long lasting tool to success. One is that it spoils the organization culture and more importantly it is a big reputation risk for you and the organization. There are ethical ways of growing and being competitive. Very easily you can find examples of top managers/CEOs who have grown to that level just because of the level of ethics that they maintained during their professional careers. Compromising with ethics may seem to be a shortcut, but it’s definitely not going to take you to the right destination. Being professional is very much equal to being Ethical. And an Ethical person earns a lot of respect and even if you lose the sales opportunity or promotion because of representing the facts, don’t worry, you have earned mental peace and respect. A customer always respects a fair sales person, a boss always respects a true employee, stakeholders always respect an honest colleague, an ethical organization will always respect an ethical employee. So, don’t let competitiveness and ethics compete with each other. Make them shake hands with each other and surely it will become easier for you to climb up the ladder of success. This entry was posted by Alumni Speak and tagged Corporate Ethics, Ethics, Ethics vs competitiveness . Bookmark the permalink.